The medical authorities of Cape Town are currently investigating the practises of a doctor who claims to have performed the first stem cell transplant surgery in South Africa. Receiver of the transplant is a 32 year old quadriplegic man, named Tommie Prins, who was paralysed after broking his neck. “Although you are not a member of SNSA, we… voice our concerns regarding recent media reports that you have been performing Stem Cell Therapy (SCT) in patients with Spinal Cord Injury (SCI)." The letter continues with the president asking Liebenberg to stop performing his stem cell operations to people with spinal cord injuries. This is because ,as he says, SCI patients are desperate for miracle treatments, the operations have a high cost and as mentioned before, there is no proof in the medical literature that stem cells can provide any relief to such injuries. He also said that ethical but mainly legal issues might arise from his stem cell therapies. Finally, he warned Liebenberg to follow the “General Ethical Guidelines for Biotechnology Research”, which are “fairly rigorous”. Officials of the Health Professions Council of SA have confirmed that a standard investigation is under way. Stem Cells Freak is closely following for new developments in the case and will inform you if any news arise. 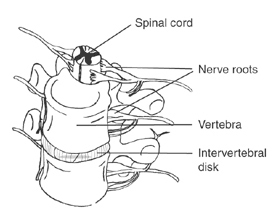 The spinal cord contains many important nerves and an injury may cause severe paralysis. A spinal cord injury (SCI) refers to any injury to the spinal cord that is caused by trauma, usually the result of an accident. Depending on the location and extend of the damage, the symptoms can vary from episodes of pain to severe paralysis.